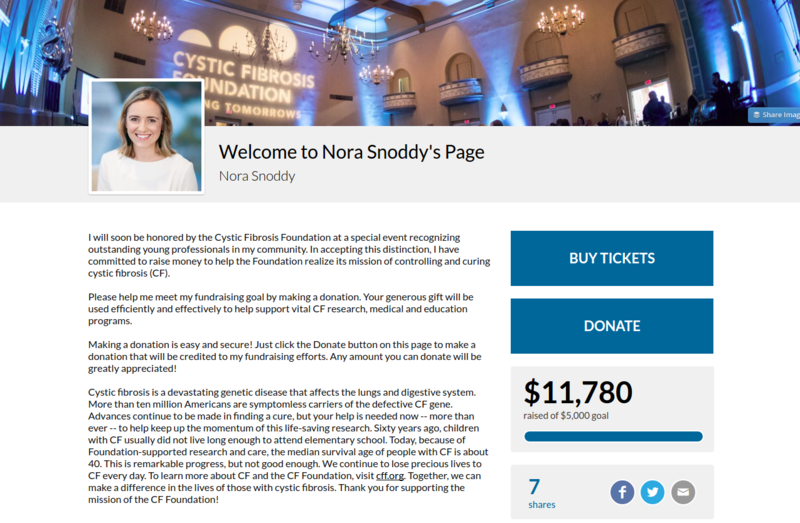 The Cystic Fibrosis Foundation (CFF) has been at the forefront of creative peer to peer fundraising strategies for years. Despite an endowment of over $3 billion, CFF continues to innovate in the peer to peer fundraising space, including pioneering the concept of walk participants hosting their own ticketed events to help reach ambitious overall fundraising goals. 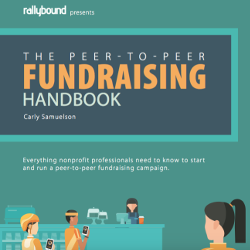 Before migrating to Rallybound in 2018, CFF was looking for a platform that would let it continue to enable its entrepreneurial fundraisers to create what CFF calls Passion Fundraising Events while modernizing user experience and site design. To meet this need, we developed Champion Campaigns as a Rallybound product feature. Through this feature, registrants create child campaigns off of their personal fundraising pages. The contributions received and tickets sold for these events benefit the nonprofit organization’s parent campaign. CFF holds gala events to honor its “Finest” community members and fundraisers in over 30 markets nationwide. The event series is called “Finest” and fundraisers are called “Honorees.” Honorees are also honored at the gala event and are responsible for reaching a fundraising minimum though direct solicitation of donations, ticket sales, and Passion events). After registering as an Honoree for the specific city’s event, those individuals are encouraged to create a Passion Fundraising Event. There are 7 templates for Passion Fundraising Events which range from Game Nights to Running Events to Wine Tours. To deepen the level of fundraiser control and ability to customize the display of these events, we developed a new way to manage fundraising campaigns, Site Builder. This tool was originally designed to allow CFF Passion Fundraisers to self manage their events (within brand specifications set by CFF) without having to tap staff resources at CFF to configure or update page designs or layouts.Tickets can be sold for the event, donations can be accepted, and friends and family members can even create their own fundraising pages off of the Passion Fundraiser’s Passion Campaign/Event. These are just a couple of the innovative solutions that Rallybound had developed to meet the needs of the Cystic Fibrosis Foundation. We partnered with them throughout the process from an initial on-site needs assessment through a pre-launch staff training at their headquarters and look forward to continuing our partnership for years to come.